Unanimously to "Ban the Box"
"Ban the Box" in front of the Broward County Commissioners. 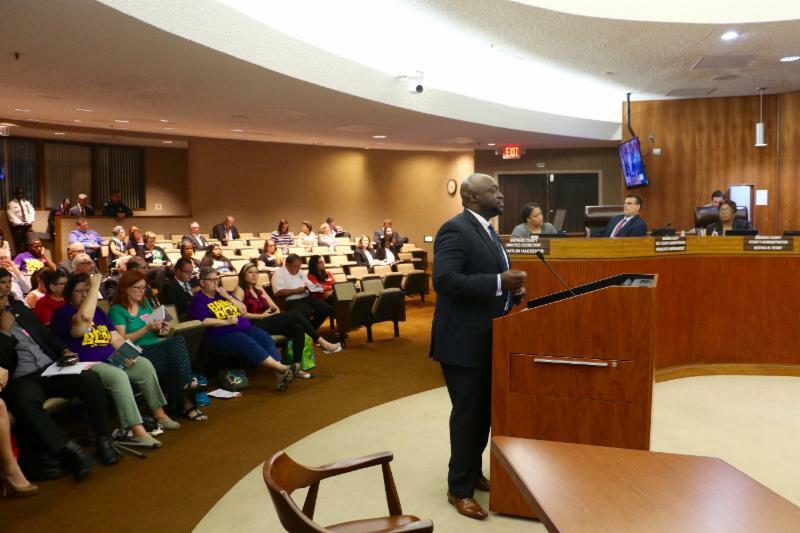 Fort Lauderdale, FL - After several hours of deliberation and input from community leaders, residents, and clergy, Broward County Commissioners voted to unanimously pass Ban the Box legislation on Tuesday, June 13th, a stunning turnaround after the ordinance received only two votes in December 2015. "Ban the Box" refers to the checkbox on Broward County government employment applications that asks about a person's past criminal history. The new law means that a person would not be asked about a prior criminal record or authorization for a background check until they are among a pool of potential finalists for a particular job. If an applicant is a finalist for a position and a background check reveals a criminal history, the person would be given an opportunity to respond and offer mitigating circumstances. "There are 70 million Americans who have had some issues with the law, whether it be arrest or conviction. We're leading the way here by setting an example that we ought to ensure everybody had the opportunity to support themselves," said Broward Commissioner Dale V.C. Holness, who spearheaded the legislation. "There's no reason for people who have paid their dues to return to society and still not be able to support their families." Marcus Dixon, Political Director of SEIU Florida, said "Ban the Box is about injecting fairness into the system. It's not about forcing employers to hire anyone. It's about having employers give people who have interacted with the criminal justice system a fair chance to show their qualifications and prove themselves worthy of employment. We took a step in the right direction last week in Broward." 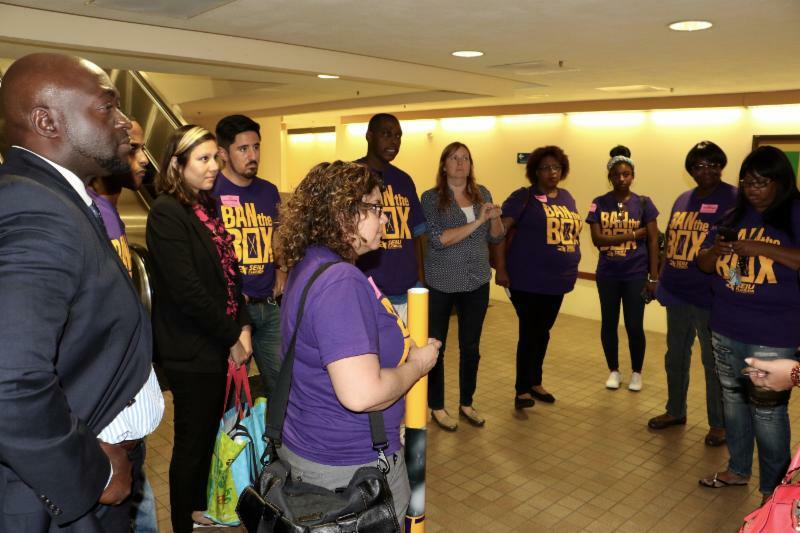 SEIU (Service Employees International Union) Florida, helped lead the push to "Ban the Box." While Ban the Box wouldn't eliminate background checks, it would give individuals who have interacted with the criminal justice system a fair chance to compete for employment and be judged on their qualifications first, without the stigma of an arrest or conviction. "The biggest misconception of the Ban the Box effort is that it is an attempt to completely conceal any infractions and past transgressions that job seekers may have had." stated Newton Sanon, President and CEO of OIC of South Florida. "This is not the case. Any infractions would be disclosed as a part of the full consideration for employment." Broward County now joins 23 states and more than 100 cities and counties which have passed Ban the Box legislation, including Miami-Dade. 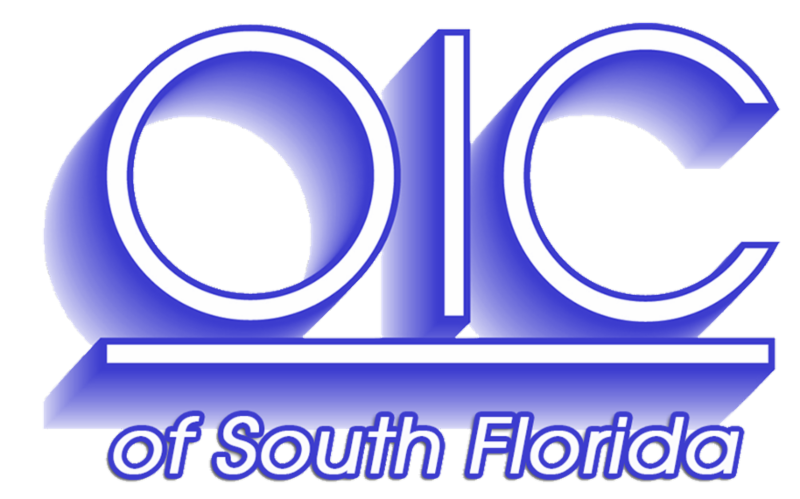 OIC of South Florida thanks everyone who united to support this effort and salutes the Broward County Commissioners for their leadership and foresight in voting unanimously to Ban the Box. Broward County Commissioner for District 9, Dale V.C. 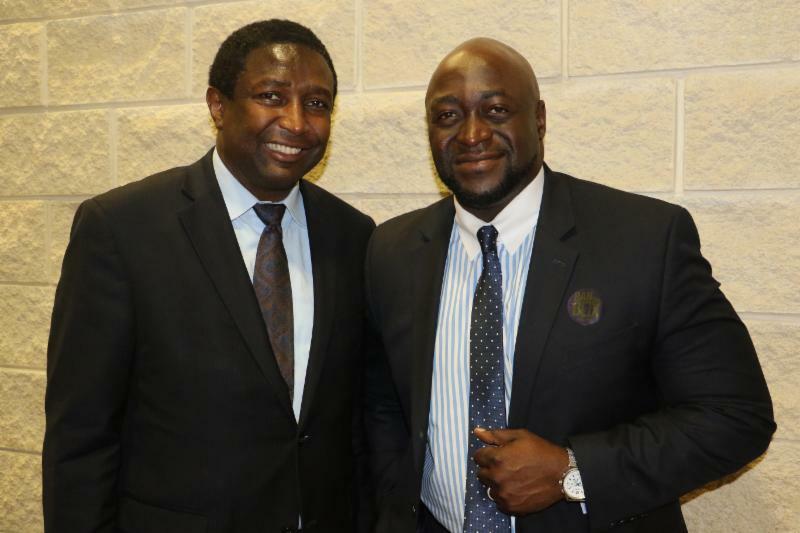 Holness and OIC of South Florida President and CEO, Newton Sanon. Representatives from SEIU Florida, supporters of Ban the Box.